If you swear by natural elements, then wood must feature at the top whenever you think of decking up homes, and when you think of gardening too, there isn’t a better element than wood that can be used as planters and hangings. Looking at the popularity of wood, we are showcasing 31 most stunning DIY wooden planters that most ‘DIYers’ and ‘crafters’ will love to incorporate in their homes. 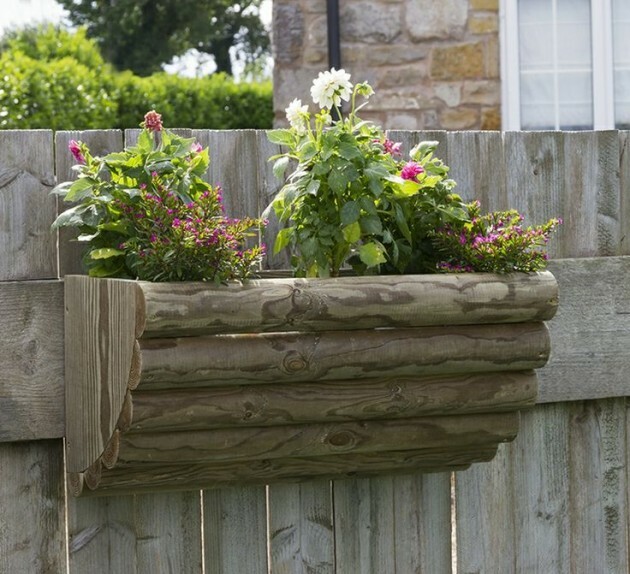 You all must try out these wonderful and creative wooden planter ideas and make your own gardens at any spot you like. The stump of a lopped off tree can be turned into amazing looking planter, just like in the image above. If your garden has some chopped off tree whose stump you think can be used to fill up with wonderful seasonal flowers, then don’t hesitate one bit and start your project that would see you crafting a stunning piece in no time. The stump wooden planter can become the center of attraction in your garden. 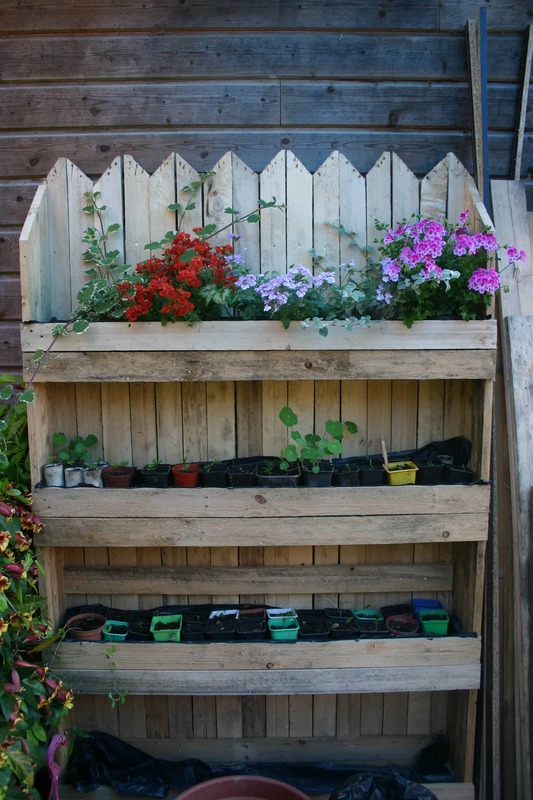 Wooden pallets are very popular when crafting DIY planters. The planters shown in the picture above are made of reclaimed mahogany wood pallets ranging from small, medium to large. These planters look refined and very smooth in texture. 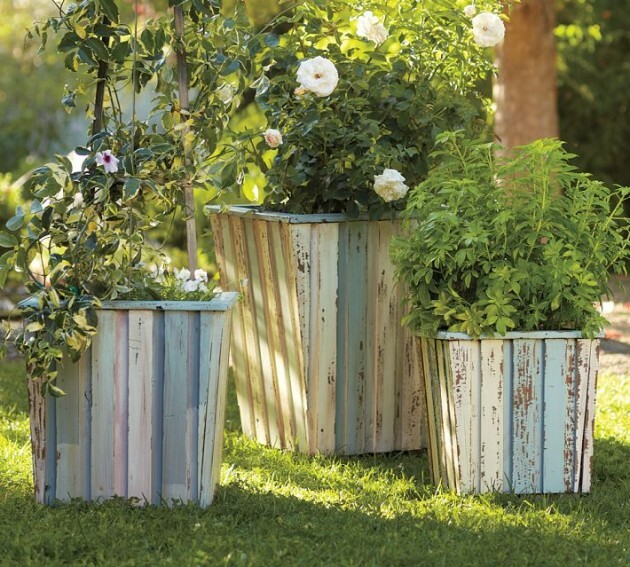 The distressed grey seen on the surface adds to the unique look of these planters. The planter in this image is very simple to make using readily available wooden box. The project cost is reasonable and the planter looks very classic. The legs of the planter have been added to give it an elevated look. You can plant any type of plants and flowers up to 400 1bs and it has draining holes too. Wooden planter boxes such as the ones in this picture can offer a space to grow any type of veggies and plants as you like. The tiered design is a perfect solution to plant more plants in a smaller space. The timber used is of great quality and is suitable for growing herbs too. It will not rot as its timber is pressure treated. The wooden planter box seen here is suitable for growing herbs and plants in one corner of your home. Its made of dark wood and is pressure treated which prevents early rot and decay. The rectangular shape allows it to be placed in corners where space is an issue. 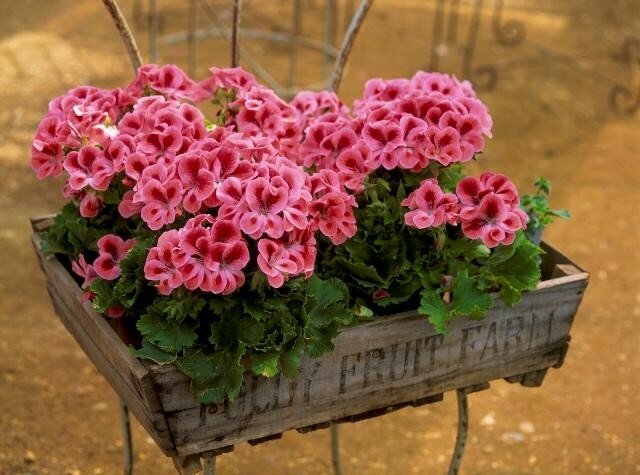 One can easily make this planter using old crates or pallets and then paint with any color. If you live in an apartment with a terrace and are keen to grow your own plants, you can take help of this idea as its very easy to incorporate. Pallets have been used to craft big planters all across the terrace garden. These match perfectly with the rest of the pallet decor dominated by wooden elements seen on the benches and flooring. 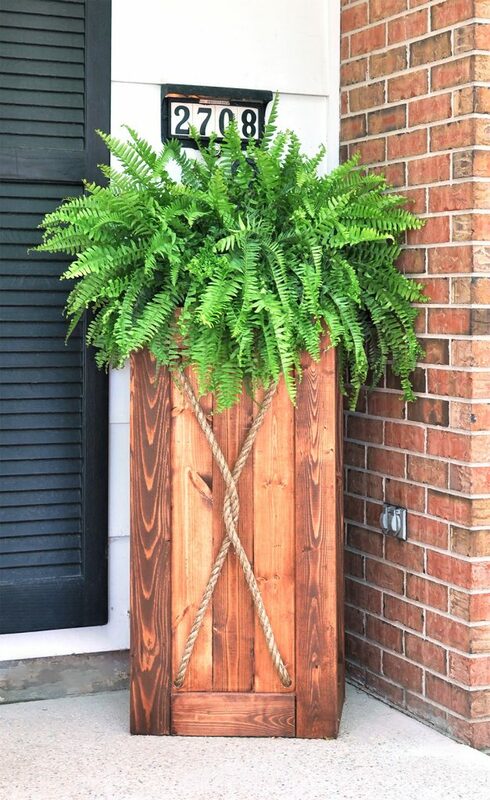 If you have a vacant spot right next to your door, then you can deck it up with DIY wooden planters like the one in the image shown above.The planter looks stylish and is made out of wooden pallets. The planter has a longish shape with rope design. You would need a few ordinary tools like saw and drillers to get this piece. The strawberry wooden planter seen here is perfect for those that have little space or no space for gardening. It has taken inspiration from DIY pallet projects and is made entirely of wooden pallets. A whole pallet has been used for crafting this wooden planter painted in white. It is space saving and is up-cycled. One can place it anywhere like a balcony or terrace. DIY planter boxes add style to any corner of a home and the one seen here is just apt for such places that have lesser space. 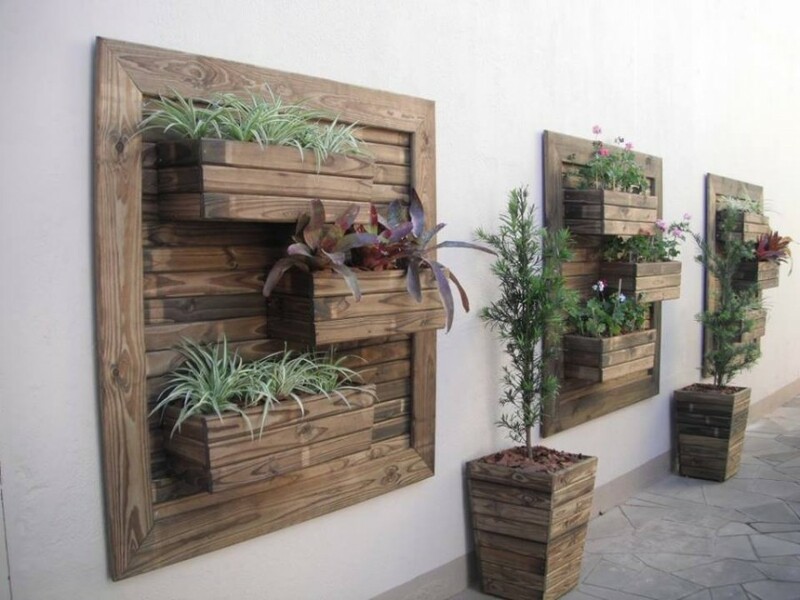 The wooden planter boxes seen fixed on the paneled wall are attractive features and also help in vertical gardening. Easy to make, these planters can be used to plant flowers and herbs of various kinds. Small wooden planter box ideas like these cute square planters help in creating a wow factor in your home. 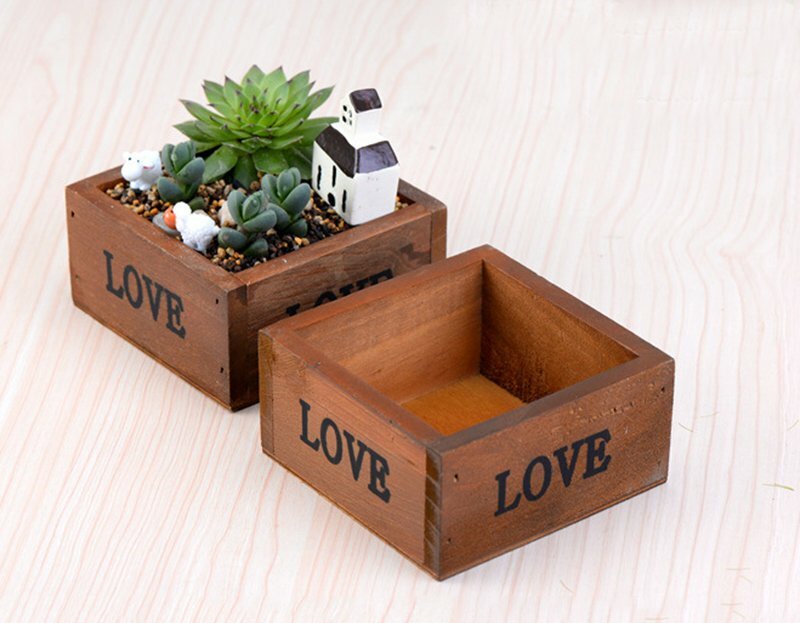 The shape of the wooden planters is adorable with LOVE inscribed over them. These are perfect for planting miniature succulents and can be mounted on top of shelves or dining tables. All you need are a few old wooden boxes for this project. These mini wooden planters have been painted with baby pink on the tops and are perfect to be gifted. These are crafted out of old wooden bowls and then painted with colors of one’s choice. 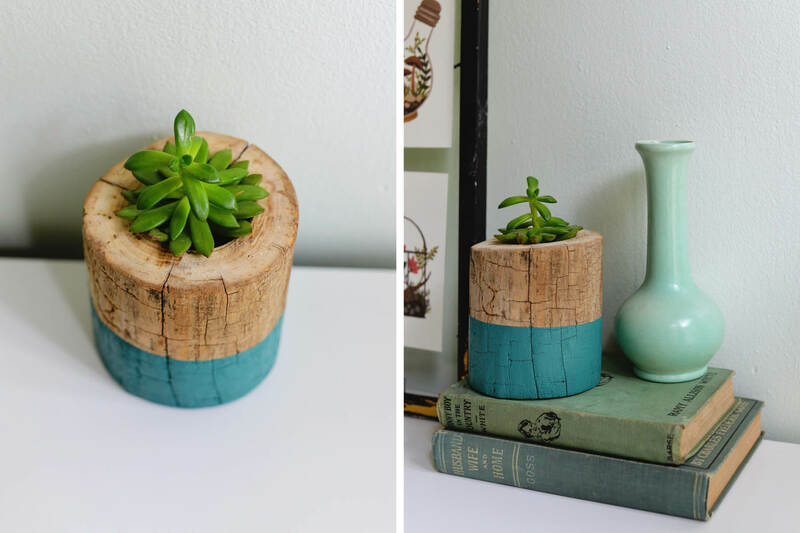 You can plant succulents or miniature plants in these wooden bowl planters. 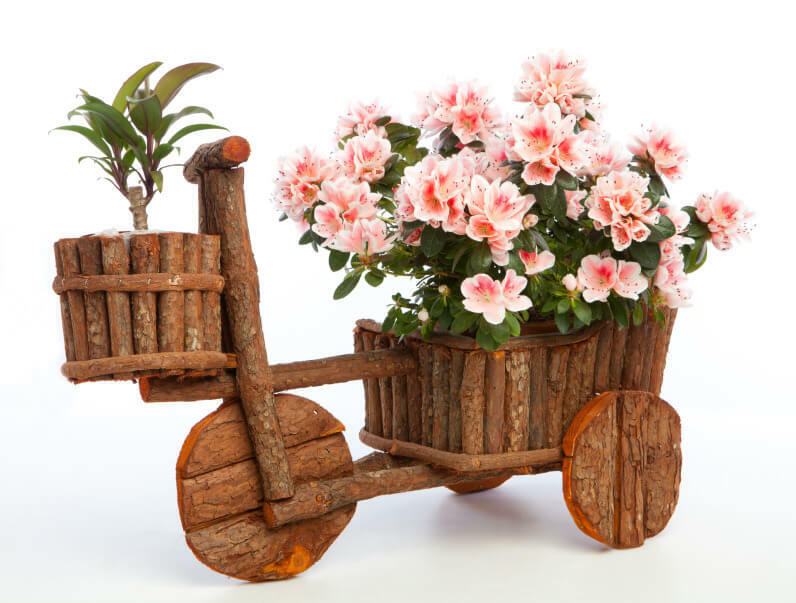 Doesn’t this wooden planter look cute and adorable? Well, you can make it using old wooden blocks and then using saw, can shape it up in any design. 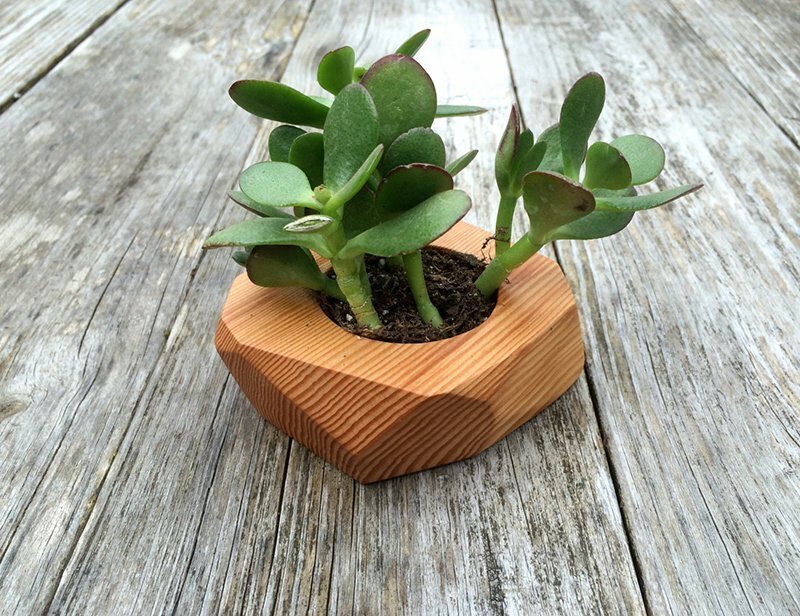 This particular wooden planter is geometrical in design and has been used for planting succulents. Its easy and anyone can make it even without the help of a tutorial. Choo Choo train planters are in vogue and you will spot many gardens sporting thee lovelies in myriad colors. 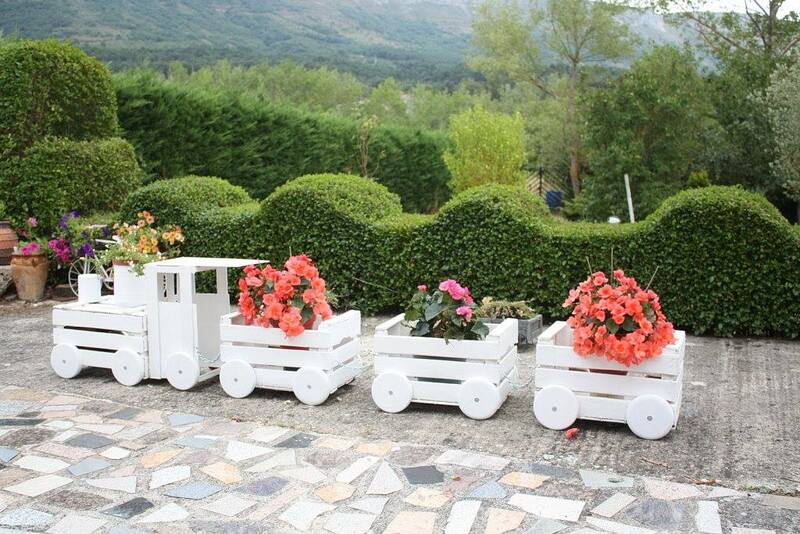 The white choo choo train planter here is made of wooden pallets and can be used to plant flowers. 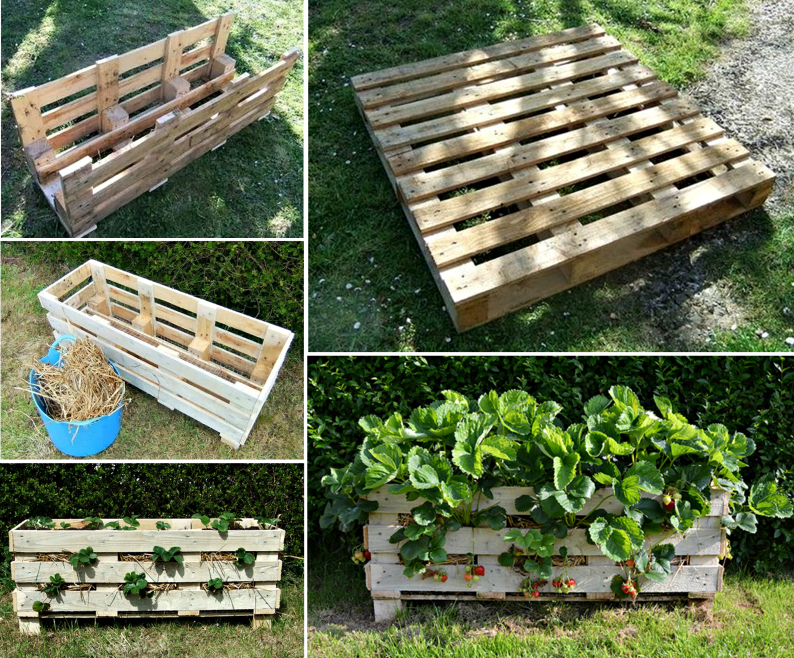 You can craft it easily using old pallets available from fruit crates and then mount these together to form a train. Add wheels and color the way you want. 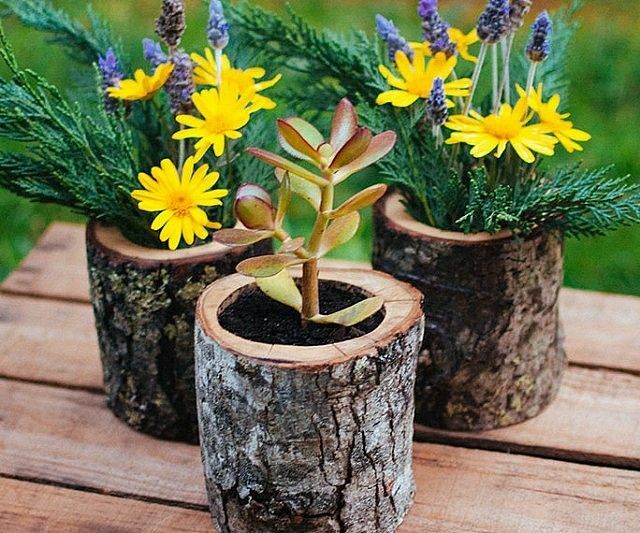 Unused wooden logs can be put to creative use by transforming these into flower or succulent planters. The look of log planters is rustic and you can stylize any section of your interior using these lovelies. The wooden log planters in the image can be made easily by anyone and with very limited resources. The end result of course is awesome! The rectangular shape of this wooden planter along with pretty geometric patterns makes it look attractive to the eyes. Its made up of ordinary wooden box and looks rustic in style. You can plant succulents or flowers of your choice and place it to deck up your garden or balcony. Its an easy DIY project. If you have less scope for maintaining a huge garden but have the desire to grow flowers and plants in your home, you can opt for vertical gardening and hang planters over your fencing. The wooden planter seen in the image is made of wood and looks pretty rustic yet stylish. Its a large hanging planter that can be made out of usual wood. This too is a simple DIY project anyone can do at home. DIY wooden planters like the one in this picture look trendy and can enhance the look of your interior as well as exterior. This light wooden box planter can accommodate four medium to large succulents at one go. The project is easy wherein you need to have four wooden boxes, screws and drivers to fix each box together in the shape as shown. The look is geometric and the planter can be put at any corner of your home. Old wooden pallets need not be thrown or stashed away in your garage for now you can use these to craft your own planters. The wooden pallet planter seen here can accommodate a large number of plants and can tolerate more then 400 1bs of soil and water. The DIYer can simply collect old pallets and then put these together to form into a layered planter for fresh herbs, veggies or flowers. 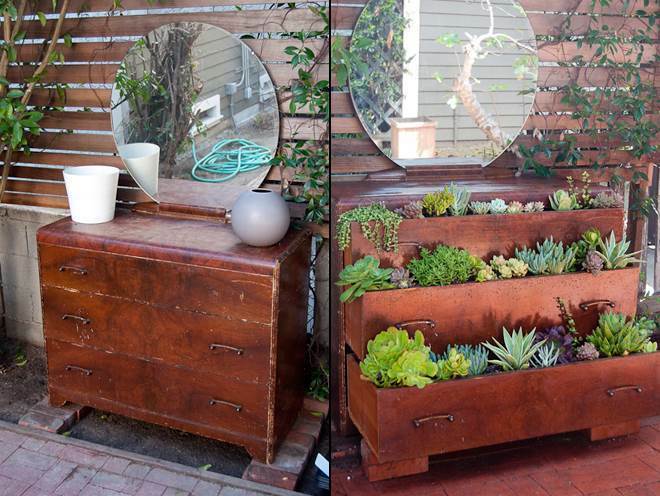 Turn your old wooden dresser into a gorgeous planter like the example shown in the image here. Old dressers are often thrown away at dirt cheap prices, but, now you can save some money by not throwing the dresser away, instead, crafting it into something very useful like a planter to plant flowers and succulents. The layered look adds to the uniqueness. The cute Impatiens planted in this stunning monogram planter look refreshing! The monogram planter in wood is an artistic project and features mini planter rows at different levels. You can craft your own monogram lettered planter by using wood. Here, the person has made use of 4 ft x 4 ft x 5 inches of wood and crafted out the letter K. You will have to refer to tutorials for making this planter as it needs some amount of expertise and knowledge about measurements. If the sides of your windows or some corner lies vacant and appears dull, plant a planter like the dark pallet wooden planter as shown above. The planter is made of wooden pallets and features two levels of potting as well as geometrical angularity. This charming potting station seen here is made out of twigs and branches of a tree and as it seems-the DIY project is FREE OF COST! 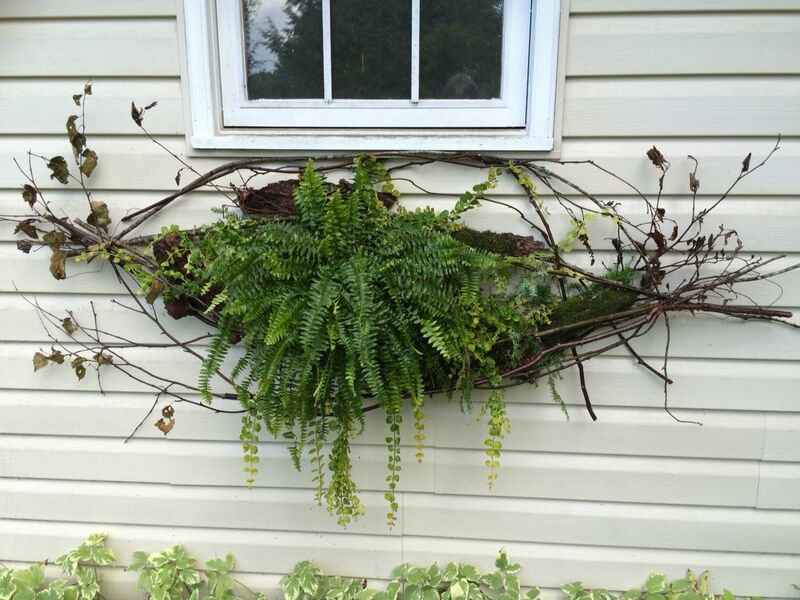 Just collect a hole lot of twigs and branches lying in your backyard and then craft out a planter to be hung on the wall of your house, below the window. Plant any kind of flower or fern as you like. Wooden planter boxes such as the wooden crate planter in the image above can enhance the appearance of your house instantly. Also, these boxes are easily carried from one place to another, making it possible for owning a garden anywhere you like. The planter above has been crafted out of an old fruit crate and lends a rustic touch to your planting area. If you have a desk with drawers, but you no longer use it for anything, then here is presenting before you an awesome DIY project that will transform your old desk into a unique looking planting station. The project is simple. You need to add draining holes in the drawers for efficient growth of plants and then fill the drawers with potting soil. The planting station can accommodate a large variety of plants, both in the drawers as well as on top of it. 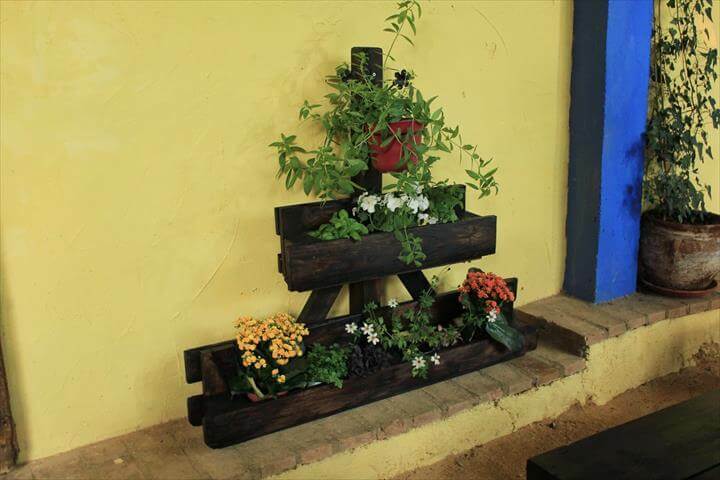 The rustic wall planter in the image has been made out of wooden logs and lends a traditional touch to the garden. If you have a wall that looks dull and plain, make a charming planter out of logs and color it the way you want. The planter can display a wide rage of flowers. The logs used in this planter are pressure treated which makes them last for a long time. This is a stunning piece of DIY craft anyone can make easily at home. All you need are barks and branches of a tree and then shape these to form into parts of a bicycle or any other design as you like. The bicycle wooden planter is an innovative project and can elevate the garden’s look without spending a bomb. If you have a side or corner table in your house that could be styled up, try placing a small wooden planter box or boxes with geometric designs. The wooden planters seen in the image are easy to make with simple colors and patterns. Here, the designer has utilized old wooden boxes and then painted the body of each box with a white paint. Afterwards, triangles have been made at the base with attractive colors such as pink, blue, and yellow. 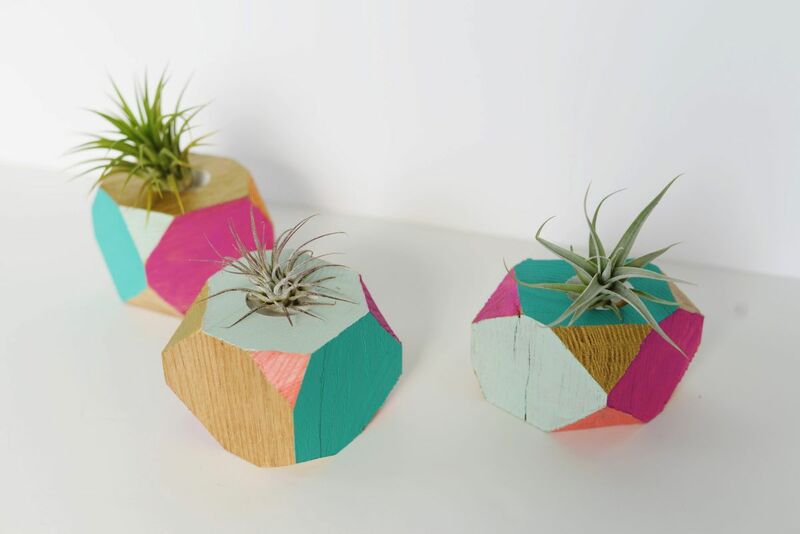 DIY wooden planters in myriad colors look trendy and eye candies. The wooden planters seen here are geometric in shape and appear quite impressive with bold colors. The planters are crafted out of wooden blocks that are given geometric shapes with the help of a saw, and large driller. After you have achieved the shapes, drill holes in the middle for filling up soil. Now, paint the exterior using bold colors. 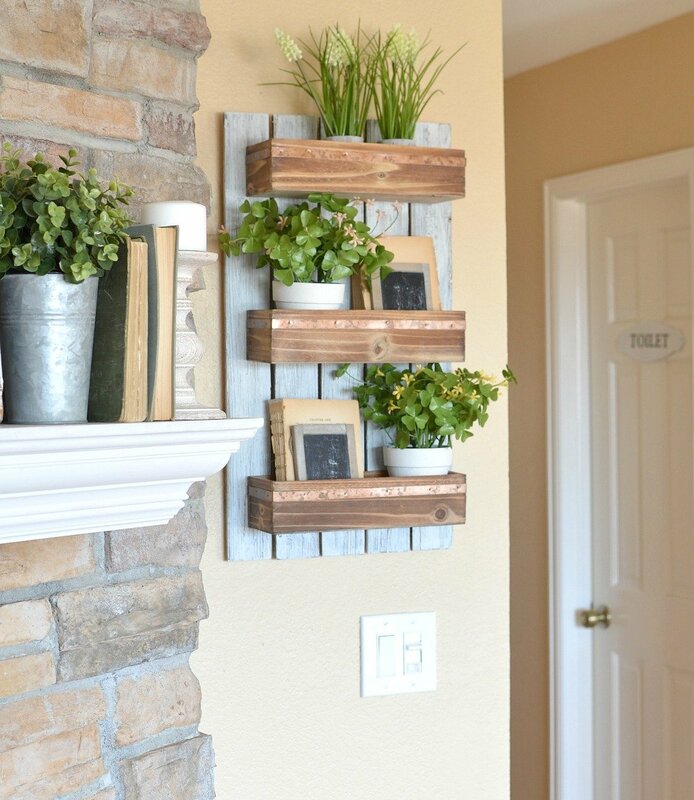 Such wooden block planters can be placed on shelves or table tops. Unused or old drawers of your desks or dressers can be used to craft wonderful looking planters. 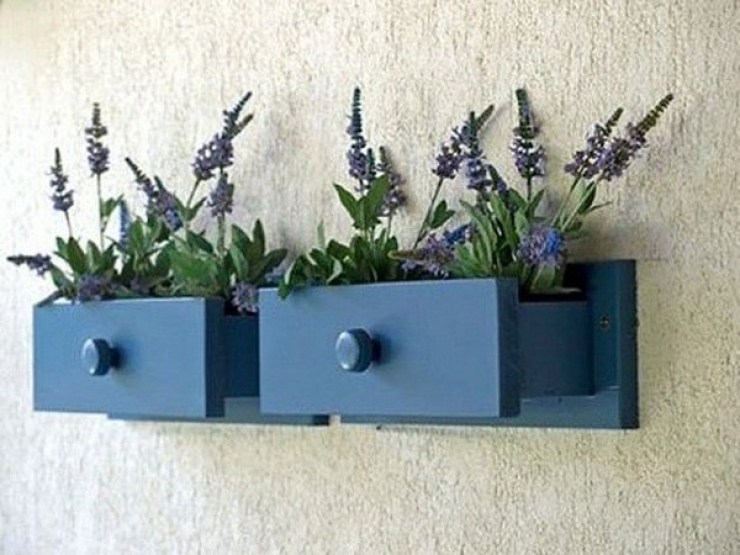 The drawer planters in the image look extremely stylish in blue. Simply take out the drawers, do some polishing and then paint these in shades you like. Once your drawers are done and drilling holes is completed, fill the drawers with potting soil. Now hang or fix these on walls of your living room or balcony. 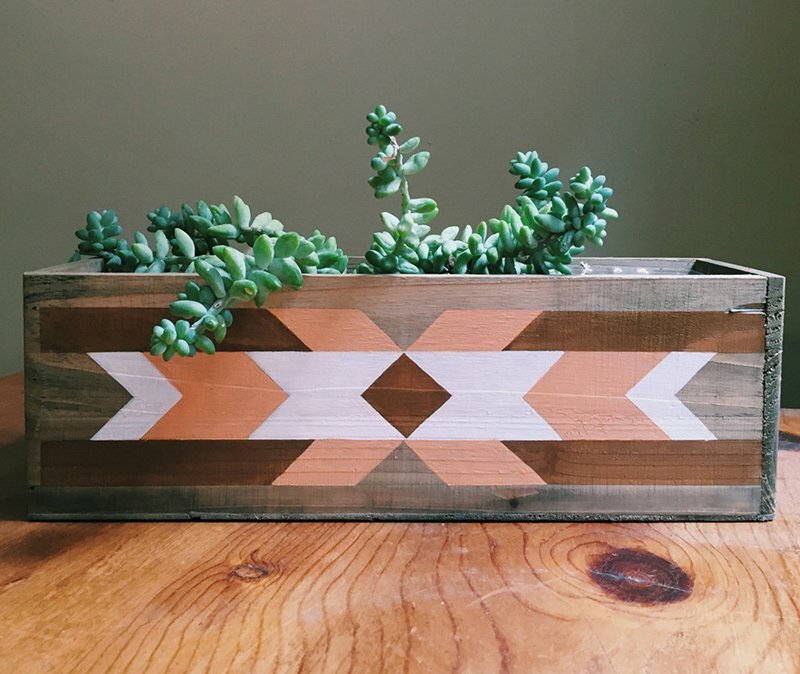 The chevron wooden box planter is one of the trendiest DIY planter boxes we have showcased today as it really looks colorful and very much in sync with the fashion trend of this year. Chevron patterns are seen drawn on the body of the wooden planter box, crafted out of scrap wood. If you like to up-cycle, then opt for this awesome DIY project today! For getting this project into action, you would need some scraps of wooden pallets and a few wooden boxes that you can buy from any timber sale. The wooden boxes are screwed on a base of wooden pallets colored in rustic white. You can paint the boxes in any color you like. Fill these up with potting soil after you have drilled holes. Now plant as per your liking.